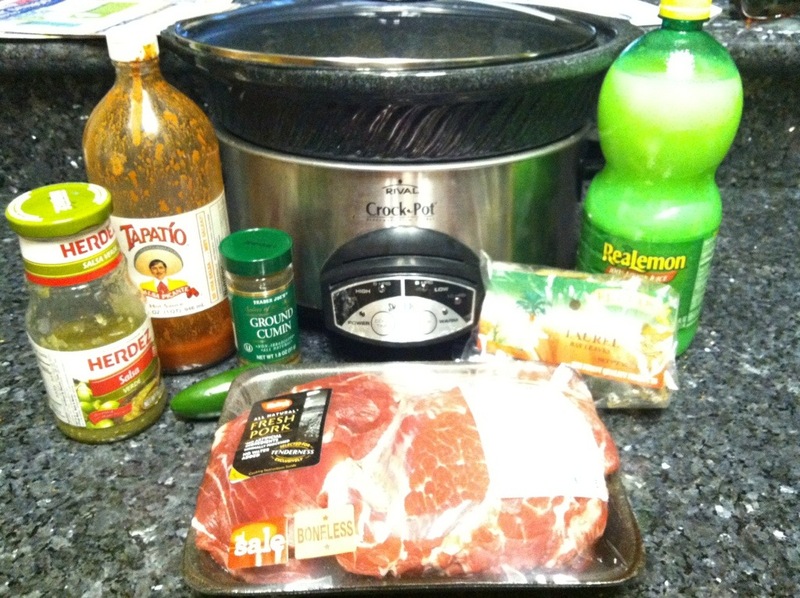 This is probably my best crock pot or slow cooker recipe. My husband asks me to make carnitas all the time. Carnitas are absolutely delicious and I thought I would share this since Cinco de Mayo is coming up! 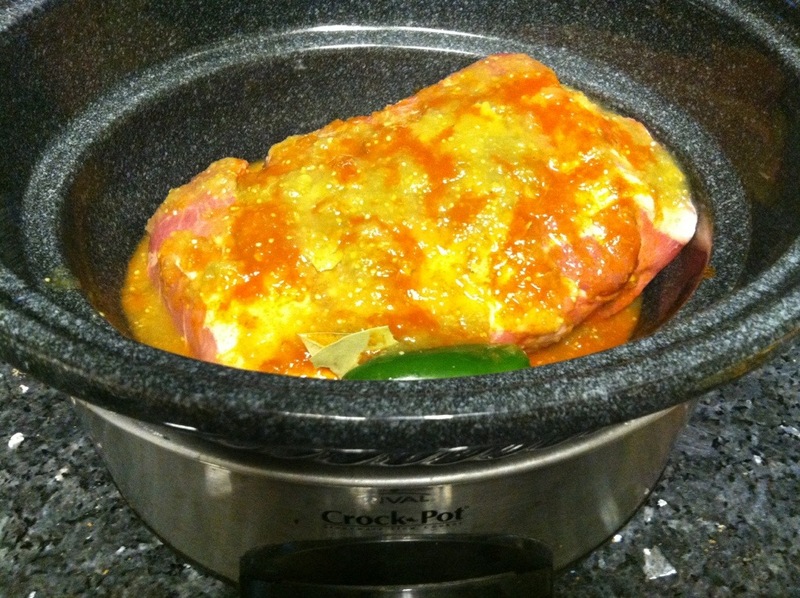 Place pork roast in crock pot and add all ingredients on top of the meat. 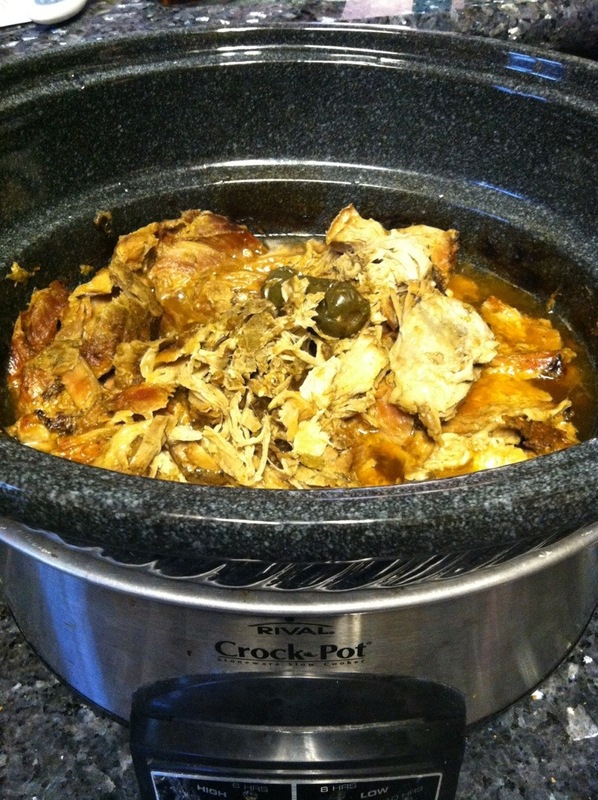 Set crock pot to cook on low for 8 hours or longer, do not exceed 12 hours. When ready to serve, use a pair of tongs to shred the meat. Then strain the meat before serving. Some people like to crisp their carnitas under the broiler for a few minutes. Remove jalapeño and bay leaves. I like to serve mine with black beans and guacamole on a warm tortilla. 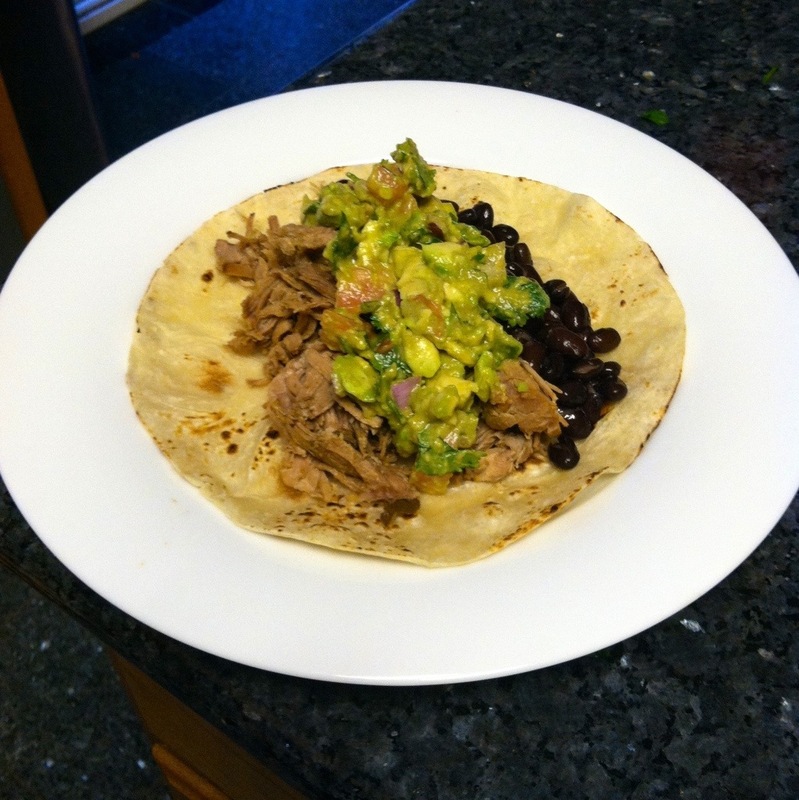 Try this out for Cinco de Mayo or anytime for a delicious and frugal meal. how many people does this serve? i need to feed 14! Do you think I would be able to double up the recipe in a lg crock pot and it still cook thoroughly? last question I think, how many oz is the salsa verde? I only found cans, not jars. and since im doubling up, I wanna make sure I put enough! Thanks! No problem! I would use 4 of the small cans. Enjoy! What is tapatio, and can I substitute? Tapatio is a hot sauce. You could substitute any hot sauce. Yay! So glad it worked out for your daughter! Thanks for sharing! I’m trying this recipe with chicken today because we live the pork. Hello! What is Herdez green sauce? Is it a spicy sauce? What can I substitute it with? Since I will be making this for small kiddos, will omitting just the hot sauce be still spicy for the kids? Thank you!